Welcome to SDS Driving School. My name is Steve, I am a fully qualified ADI Driving Instructor providing driving lesson's in Wantage,Oxford and all villages in between. Learn at your own pace in a friendly calm environment, we will structure your tuition to suit your requirements. 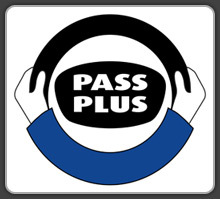 I am a fully registered DVSA Approved Driving Instructor (Grade A) and follow their code of conduct. I am also a member of the Driving Instructor Association. We offer a range of lessons from first time in a car to Pass Plus and Motorway driving after you have passed your test, also refresher courses if you are a bit rusty after being out of the U.K or off the road for a while. So if you are looking for quality driving lessons at competitive prices in Oxfordshire please browse my site and see what I have to offer.